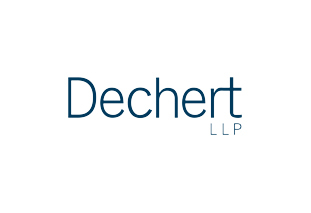 This week, Aspiring Solicitors hosted an Open Day with one of our Affiliate Partners, Dechert LLP. Dechert kindly hosted over 30 Aspiring Solicitors members for a day full of panel talks, interactive workshops and insider tips on the application process. To kickstart the day, students heard from three members of the firm’s Inclusion & Diversity committee: William Fotherby (Senior Associate in Trial, Investigations and Securities); Samantha Ramlakhan (Research Analyst) and Sonali Sullivan-Mackenna (Project Associate in Trial, Investigations and Securities). Dechert’s Inclusion & Diversity Committee was formed in October 2017 – with many of the firm’s early initiatives originating from the US offices. Here in London, the issues they are now tackling are often different to those faced by their US counterparts. 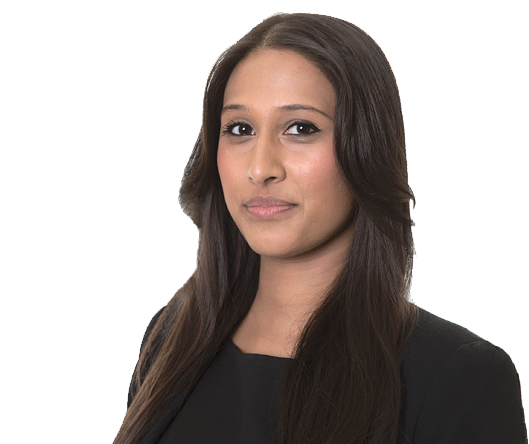 William, Samantha and Sonali shared their thoughts on why diversity matters both at Dechert and within the wider legal profession. There are both internal and external pressures to make inclusion and diversity a priority at Dechert. Internally, the firm prides itself on being fair – which means recruiting the best lawyers, regardless of their backgrounds, and welcoming them into a team that celebrates and promotes diversity. In practice, Dechert achieves this in a variety of ways, such as making firm events open to all, from business support staff to partners. Externally, clients simply won’t compromise on their legal advisors working in an inclusive way. Not only is it morally right, but it also makes business sense to have a diverse mix of thoughts, cultures and experiences being brought to the table when complex, cross-border problems are at stake. The panellists also encouraged the students to raise issues that they thought were prominent within the legal field. There were some fantastic contributions, including the lack of gender-neutral language in contractual documents and the problems surrounding retaining female talent in senior positions. The latter is something Dechert’s Inclusion & Diversity Committee is currently looking at in partnership with the firm’s Global Women’s Initiative (GWI), to ensure that women are developing, advancing and staying with the firm. The next session of the day was the trainee panel. We were joined by Freddie Newman, Charles Standen, Kerenza Kerslake and Ruth Taylor who discussed a variety of topics, ranging from the firm’s renowned six-seat training contract (a great option for aspiring solicitors seeking a broad and varied training contract experience) to the firm’s secondment opportunities in Singapore, Dublin, Brussels and Toulouse. All of the trainees spoke very highly of the secondments, with Freddie noting the integral part that you play in Dechert’s smaller team in the Dublin office, and Ruth highlighting the importance of hitting the ground running when on a client secondment. The panel also discussed the range of extra-curricular activities available to trainees at the firm. Trainees can get involved with Pro Bono (a minimum of 25 hours a year is a must), sports teams, the firm choir and the trainee networking committee. These opportunities give trainees a great chance to build their transferable skill sets, meet new colleagues across the firm and, in relation to Pro Bono, make a real difference to people who don’t ordinarily have access to legal services. After a networking break, students took part in a negotiation skills workshop with partner Adam Silver. Adam’s session analysed three modes of negotiation: reason, creative and power. Each mode can be delivered in a different style, with Adam focusing on four distinct categories: tough, warm, numbers and dealer. After discussing the pros and cons of each, Adam emphasised that styles can be mixed – for example you can be a warm power – and no style is better than another. Instead, it’s best to work to your strengths. Think about who you are and what works for you, whilst keeping the other styles in mind and ensuring you have a good understanding of how others perceive your style. The students put Adam’s advice into practice as they paired up and ran through two mock negotiations together – a valuable experience for any aspiring solicitor. Charles Ashie, one of Dechert’s future trainees, delivered the next session of the day. After studying Law with Politics at the University of Hull, Charles completed a Masters in Innovation, Technology and the Law at the University of Edinburgh. As one of the winners of Aspiring Solicitors’ Commercial Awareness Competition 2017/18, Charles secured work experience, and subsequently a training contract, at Dechert. Charles’ talk focused on the importance of building your narrative with the firm you’re applying to. This can start by attending open days, meeting the firm on campus and having valuable conversations with employees that will inform and improve your application. Once on a vacation scheme, you can continue this by meeting and talking to as many people as possible to ensure you’re developing relationships and generating positive feedback from a range of people at the firm. These actions should all play a part in ensuring you have a concrete answer to the inevitable question: “why this firm?”. As a winner of the Commercial Awareness Competition, Charles also shared his top tips on building commercial awareness, recommending that students keep a Google document on current affairs and companies of interest. This can be built up by listening to podcasts, reading newspaper articles and signing up to daily newsletters. To round off the day, Gemma Baker and Katrina Phull from the firm’s graduate recruitment team ran through the application process for Dechert’s vacation scheme. Gemma covered the all-important basics that students have to get right (think proof reading, highlighting significant achievements and demonstrating a real interest in the firm), as well as giving her top tips on how to thoroughly research a firm and convey this succinctly in the application form. Following this, Katrina discussed the process beyond the application form, sharing her advice on how to do well in a video interview and on an assessment day. Key takeaways included practising for your video interview out loud, not getting distracted by other applicants and boosting your confidence on the assessment day with a quick ‘Power Pose’ before your interview. Many thanks to Dechert for hosting such an insightful Open Day. Lauren Counsell, a final year Law student at the University of Nottingham, noted: “I gained an incredible insight into the work the Inclusion & Diversity Committee is doing, which is making real changes at the firm. I also gained a unique insight into how to thrive in negotiations, assessment centres and beyond.” Attendees not only had the opportunity to build their professional network and knowledge of Dechert, but they also started to develop the practical negotiation skills that will be required of them as successful commercial lawyers in the future.